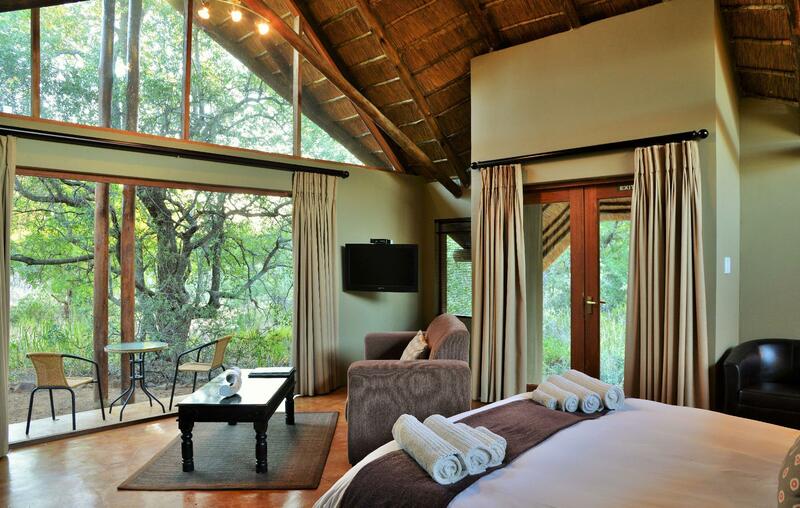 ﻿ Black Rhino Game Lodge Pilanesberg. JIMAT di Agoda.com! Ada soalan mengenai Black Rhino Game Lodge? Terletak di tengah-tengah Matlhagame, Black Rhino Game Lodge merupakan tempat yang sesuai untuk meneroka Pilanesberg. Dengan lokasi hanya 10. Km dari pusat bandar dan 150. Km dari lapangan terbang, hotel 4-bintang ini menarik banyak pelancong pada setiap tahun. Dengan lokasi yang mudah, hotel ini memberikan akses mudah ke tempat yang anda perlu lawati di bandar. Extraordinary terkenal kerana perkhidmatan yang berkualiti dan kakitangan yang ramah, dan Black Rhino Game Lodge ternyata seperti yang dijangkakan. Tetamu hotel boleh menikmati kemudahan seperti tempat letak kereta, khidmat bilik, penjagaan kanak-kanak, restoran, lawatan. Black Rhino Game Lodge mengandungi 14 bilik yang dihias indah dan menawarkan bilik larangan merokok, penyaman udara, meja, beranda/teres, televisyen. Di samping itu, pihak hotel menawarkan aktiviti rekreasi untuk memastikan anda mempunyai perkara untuk dilakukan sepanjang penginapan anda. Apa juga tujuan lawatan, Black Rhino Game Lodge merupakan pilihan yang terbaik bagi penginapan anda di Pilanesberg. FANTASTIC RHINO & ELEPHANT VIEWING. WE SAW MORE RHINO & MORE ELEPHANT THAN JUST ABOUT ANY OTHER GAME LODGE WE STAYED AT & UP CLOSE. If this LODGE would upgrade their décor & attention to detail the experience would be greatly enhanced ! Black Rhino is a lovely example of an African game lodge, very clean and comfortable and well located in its private reserve but adjacent to the beautiful Pilanesberg reserve. The staff are the highlight of the show though providing service with a constant smile. We were able to see lions up close several times. A very rare site of an alpha mating, and even a few lionesses taking down a Zebra. We saw plenty of Rhino, Zebra, a giraffe, and buffalo. The elephants weren’t around, but there was still plenty to see! We had expected to be able to drive into Pilansberg, but guests are not allowed to do that. Game drives were repetitive covering the same terrain every time. The Black Rhino Lodge is in a concession not very well stocked with game. The drivers of the open vehicles were not very knowledgeable about game or birds, and were not good at spotting game either. The suites are not in walking distance from the lodge where meals are served. In addition, the suites need renovation and updating. The air-conditioning in one of our suites was not working, there was shattered glass in one of the bathroom windows, and when the door was closed, there was a gap resulting in us having insects in our room constantly. While we saw most of the big five there was a noticable lack of animals. This was truly the highlight of our South African experience. 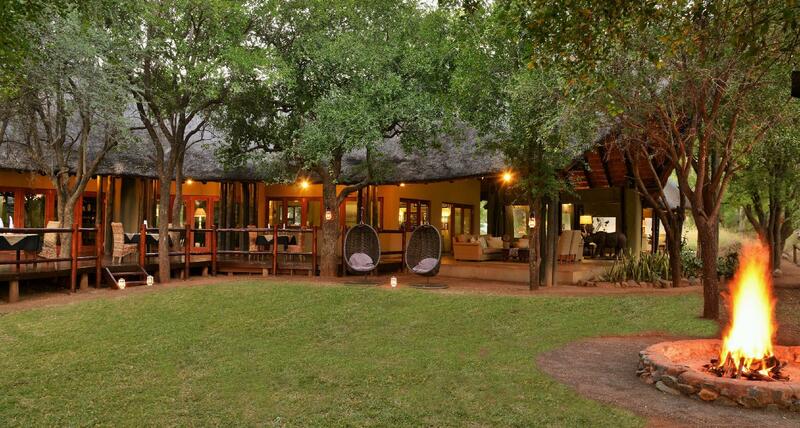 Luxurious safari experience in a beautiful setting with very accommodating staff, willing to attend to any need. The bungalows are beautifully appointed, with the most comfortable beds. The food was wonderful with the attention of chefs, willing to accommodate individual dietary requirements were required. The safari outings were wonderful. Our guid went above and beyond to make the experience memorable. we stayed for only the one night to attend a show in sun city. the staff was very friendly and accommodate us by changing dinner to ensure we can be in time at sun city. due to short visit did not use all the facilities and benefits. very quite place to be. the outside shower is fun with all the creeping animals. we had such a great time that we extended our honeymoon by two days to spend that little bit longer. the place is fantastic, the rooms are open and airy; the bathroom has a great set of showers and a huge bath. there's an outside shower as well which is a great experience. the lodge itself is right on a waterhole, so we saw birdlife, impala and kudu, as well as squirrels and mongeese. one couple say that the elephants came down one day too. the food was terrific; from succulent meat to beautiful puddings. whilst the accommodation is not cheap the food and drinks definitely did not break the bank; so you didn't get the feeling they were ripping you off. the game drives were great. the rangers were knowledgeable, enthusiastic and friendly; and we saw an abundance of game. you have to stay for a few days to get a good chance of seeing everything though.